If you've been following a while, you'll remember that I had 3 friends all expecting babies within a few weeks of each other near the end of last year and I went sewing crazy with multiple baby-related sewing projects. 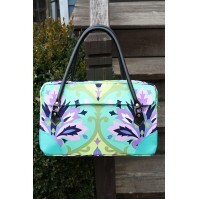 It was fun to sew in nice bright colors and small projects for a change. One thing, however, I didn't do especially was a diaper bag – they all got their goodies inside my Carry All Bag instead, which is a good substitute. 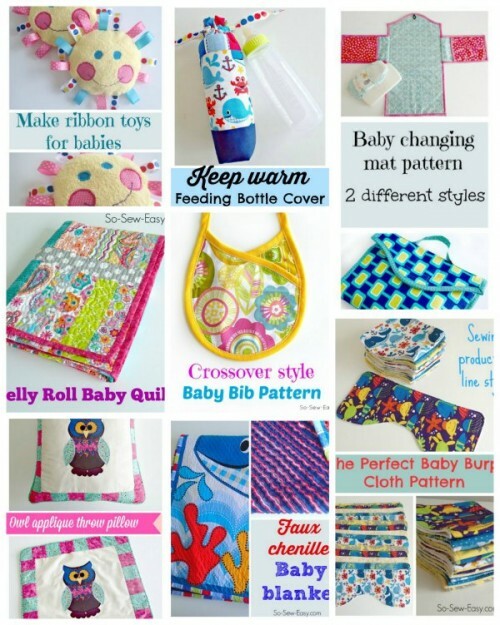 So after several readers have suggested it, rather than redesign the Carry All Bag to be a dedicated diaper bag, I thought I'd link you up with some great free diaper bag patterns and tutorials from around the web. 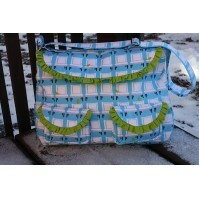 Or bags which can be adapted for big mom and baby bags, or other bags that could be useful such as wet/waterproof bags. 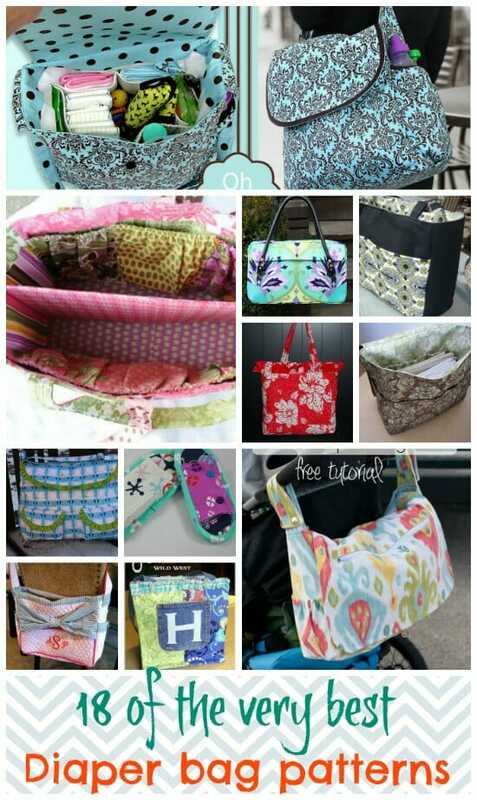 Mix and match the features in these great diaper bag projects! Enjoy. 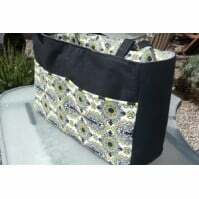 If you'd like to make the Carry All Bag, like I did for my friends, you can read more about this pattern here, or click the image below. 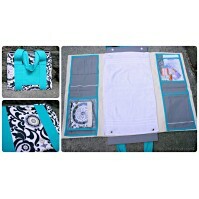 It's got LOTS of pockets to keep new moms organised and keep all their baby supplies in one place. 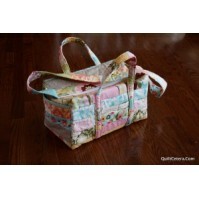 Do you have any favorite patterns, or patterns you have used and adapted to make diaper bags – share them below. 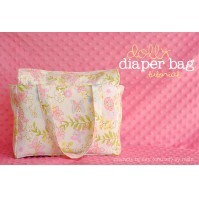 If you've made or used them – what are the essential features you think the perfect diaper bag pattern should have? My Grandson and Granddaughter are both expecting in two months. The other day I was at Wal-Mart getting fabric for baby blankets etc., I ran across this vinyl crocodile print. My granddaughter is a fashionista and she is one that in actuality different from the norm. I had purchased some nursery flannel since her color scheme is blue and she is having a boy as well as her brother is having a boy. 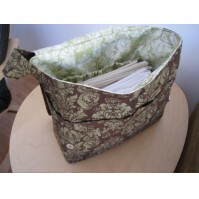 i thought I could make a diaper bag out of the vinyl and line it with the nursery flannel that I am making a bunting with matching blanket My question is this can I use the vinyl fabric to make the exterior of the diaper bag and possibly make a removable lining? 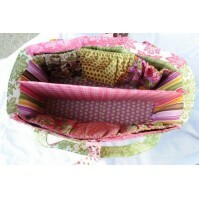 If so caan you possibly give me some pointers I was thinking of using snaps to install the lining. What do you think? You will have to keep in mind the snaps are going to show so make them part of the design. 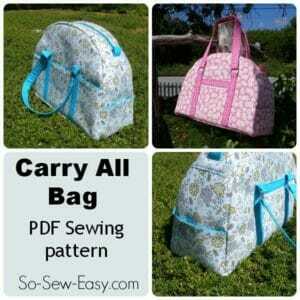 I cannot find the link to download the patterns or tutorial for the bags. 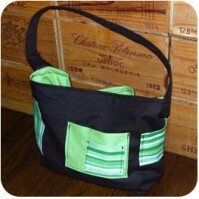 I am interested in the diaper bag and a couple others. You need to click on the picture and it will take you there. ThankYou Deby!! Everytime I search for the best patterns for ??? Yours are always right on top of the list! I’m looking for grandaugter gifts for this new mommy. I have some very cute snuggle farbics coming. 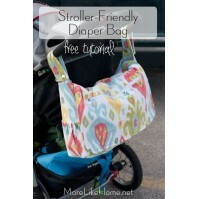 Now the diaper bag has me thinking it would be perfect to ‘stuff’ with bibs; swaddling blaket; pacifier clips and any other ‘mommy helpers’ I can come up with! Thanks so much Betty – I try to make the site the best possible resource. If you come up with any ideas, do let me know and I can hopefully put something together on that subject.